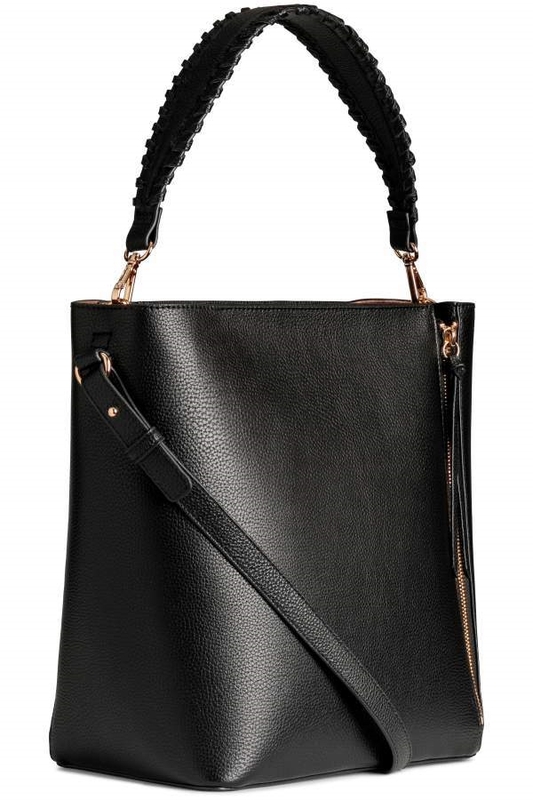 Handbag in grained faux leather. 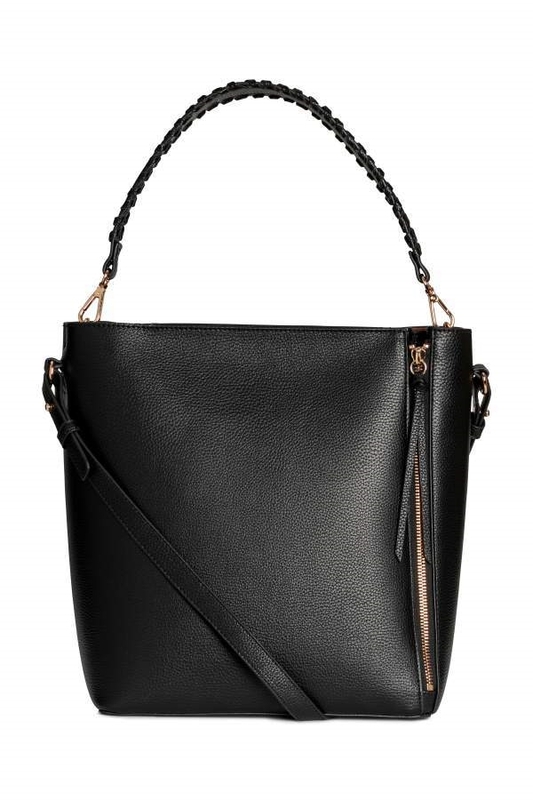 Detachable, adjustable shoulder strap with stud fasteners, detachable handle with stitched details, and flap with zip at top. Zip at each side to expand bag. One inner compartment. Unlined. Size 5 1/2 x 13 1/2 x 13 3/4 in.